For a slightly less glamorous and more rustic holiday on the chic holiday island of Hvar, pitch up at this terraces, tree-shaded site between two pebbly beaches. This is a perfect base from which to explore this island, whether you want to experience the glitz, glamour and party atmosphere of Hvar town, or explore the quiet trails and quaint fishing villages of the rest of the island. 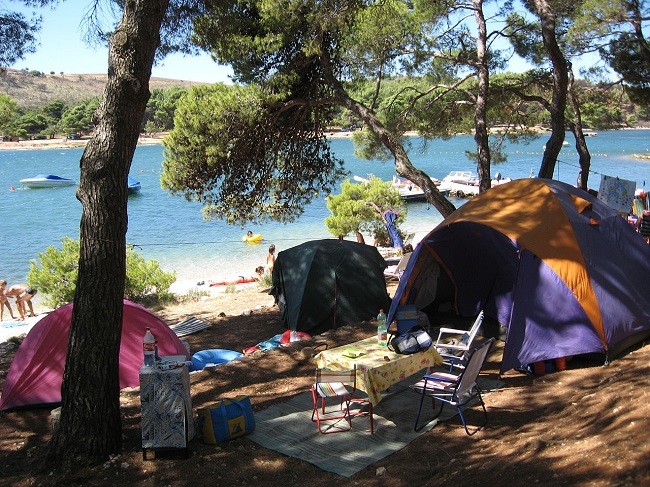 This campsite, right on the shoreline of the island of Krk, offers excellent opportunities for diving in the clear, blue waters of the Adriatic. There is also a wide variety of local seafood to sample, including the local speciality of slow-cooked octopus. When the lights go off at 11pm, you will be left with the tranquil sounds of the waves lapping on the shore, and the twinkling lights of the neighbouring island of Cres can be seen across the water. This is an ecologically friendly campsite, and they have received the eco camping designation for their commitment to preserving and protecting the natural world. 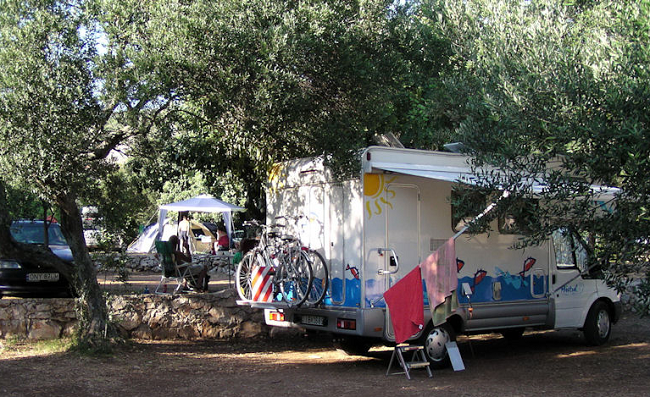 Yet another good reason to visit this campsite, on this lovely island. This perfectly manicured and landscaped oasis has been lovingly reclaimed from the surrounding olive woodland by its dedicated owner. It is a gently sloping site, surrounded by limestone walls, which reaches down to the seashore. There is a private pebble beach to be found down a steep rocky path from the site, and a sense of exclusivity and laid-back seclusion to be found here, though it is only an hour or so away from the big, bustling city of Dubrovnik. In the lush mediterranean vegetation by Molunat, around 35km south of Dubrovnik, you will find this tiny site with just 30 pitches, in a sheltered inlet amid olive trees. 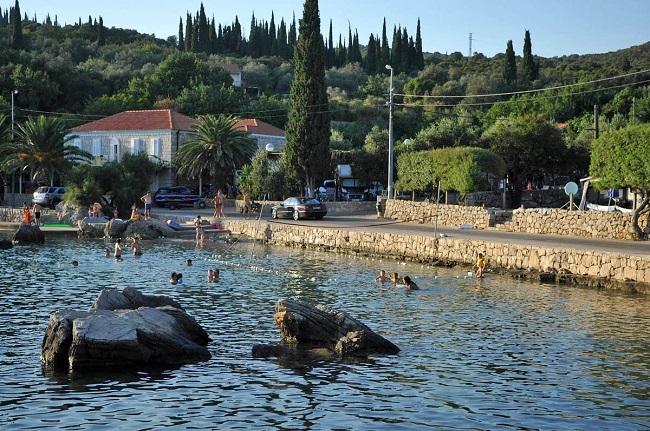 Molunat itself is a picturesque town huddled round a bay that boasts a sandy beach on one side and a rockier section on the other. Settle down and relax of an evening with a bottle of wine from one of the local vineyards. For unspoiled nature and a get-away-from-it-all vibe, tent campers should head to this simple site of the edge of the tiny fishing village of Valun, on the island of Cres. Caravans, motorhomes and cars are banished from this little canvas idyll. This site is right next to a shingle beach in a partially forested area and history lovers will be in seventh heaven in the nearby village, where the Valun tablet was found in the 11th Century. There are many more campsites to be found in Croatia, many of them gracing the many bays and inlets of the islands off Croatia’s coast. So pack your tent today, forget about hotels accommodation in Croatia and go and see where your adventures will take you. Whether you like quiet serenity, or to be in the middle of things with top rate facilities, you are sure to find a campsite to suit you. Why Advertised Products On Television?